When I give workshops about judgments I put people into small groups and have them describe how they make and eat a PB&J. I love moving among the groups to hear their reactions. You would be surprised how attached people are to the “right” way to make a peanut butter and jelly sandwich. I often hear things like, “You put your bread in the refrigerator? Eww, you lick the knife! You don’t put it on a plate? Everyone knows that you should put peanut butter on one piece of bread, jelly on the other and then put them together!” I could go on and on about the ways people believe how they make a PB&J is correct. The reason for this exercise is to help people see how attached we are to our judgments, even about seemingly innocuous things like sandwiches. Now, expand that to look at your judgments about politics, money, relationships, business, and religion. Those are hot-button topics and can lead to fractured communications. What if you began to be curious about how and why people have a different opinion than you do? Could you start to see your preferences with more flexibility rather than hard and fast judgments? Sometimes it’s incredibly difficult to even entertain the possibility that someone’s position might have a crumb of validity. 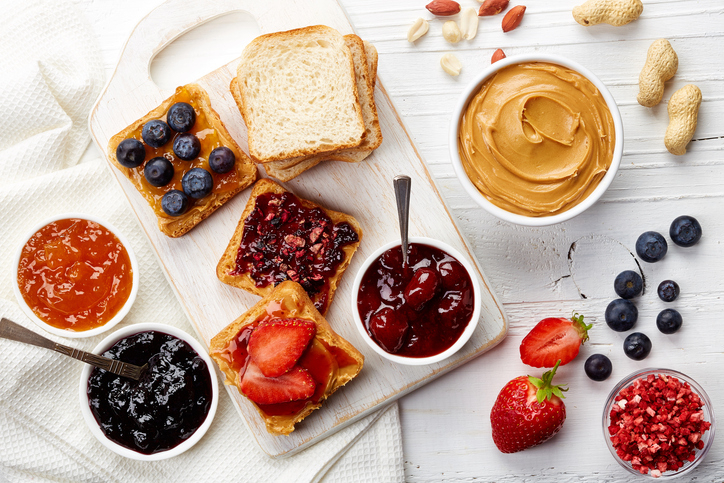 So, start with something small, like how to make a PB&J and think about how many different ways you could make a sandwich – none right or wrong. Many of our judgments are based in not recognizing the differences among life energies. You may even think or say, “I get it about the differences, but everyone knows that my Life Energy is the one that everyone needs to be successful.” Do you hear the judgment that popped up there? Sometimes we can’t see how dramatically different our perspective is than someone else’s. And, it isn’t even perspective, it’s more about not seeing you have an operating system that drives you differently than the other person. It’s how you see things and process information. My husband and I were planning a trip. I looked at lots of different websites and bookmarked the pages that looked interesting. In my Aliveness enthusiasm, I had lots and lots of websites and got overwhelmed about how to narrow it down. I sent him the links and suggested that we look at them together on our respective computers and make a “yes” and “no” pile. I just wanted to skim them and do a quick, yes/no. It was clear right away that we weren’t going to be able to do it together. I was on the third link and he was still on the first. He has Truth Life Energy and he wanted to really look at each option and then decide. You would think since I’ve been teaching this for 30 years I would have recognized the difference more quickly for what it was. However, I interpreted it as, he didn’t want to look at the information and shut it down. It was merely a Life Energy difference. We ended up going through the lists separately and then came together to see where they intersected. You know that the fallout from this difference in approach could have lasted for days. My preferred way is to quickly scan things and then narrow it down. His preferred way is to really look at each item and decide about them once he has all of the information. Different paths to achieve the end result. No need for judgment and yet, that is often the initial response rather than recognizing that it’s simply different. Start noticing when you get triggered by the way someone takes action or doesn’t? Ask yourself if they have a different Life Energy than you do. Then step back and let go of the judgment about how it’s different than how you would do it. Can you be curious about how they take action, instead? I learned a little late that my third child was very different from me. We disagreed quite often over how things should be done or how we felt about thingsI I came across a statement that has stuck with me, I believe it was in a book about Spiritual Disciplines. “I am giving up the BURDEN of always having to be right”. Just like you said Cindy, we go about things differently but come up with the end result just fine. I love that quote. We so often forget that our way is simply one way, not the right way. Perhaps some of the confusion comes because what is intuitively obvious to us is the opposite of what is intuitively obvious to others. It’s that different lens through which we see the world. My PB&J is in this order bottom bread, sweat pickle relish, peanut butter, mayonnaise, american cheese, jelly on top bread. It does not seem like it would taste good if one tastes with eyes and mind but I use mouth and taste buds. I love it! That would certainly get lots of “what!!! !” responses. I might even try it.